App’s tried & tested by Relentlesslypurple.com including Health, Games, Smart apps, parental controls & more. We’ve been using Read With Phonics – Phonics Games, an app available on Google Play Store, the App Store & available at Amazon. Created by teachers, the games are a colourful, interactive way to teach children phonics sounds in a fun way. With Izzy just starting in Reception, we jumped at the chance to try the app for ourselves! This app helps children improve letter and sound recognition. It is a great way to help young children learn to read. Albee the Alien guides little ones on their journey learning phonics sounds through gameplay. As children work through the Read with Phonics games they unlock new phonics sounds. The games teach children to break words down into sounds to help them learn to read themselves. This AD-free app includes over 1,200 words and pictures, across more than 100 phonics games, using colourful graphics and great animations. Starting in the city with ‘A, Ai & Ay’ sounds the fun phonics journey starts with a series of fun games. There are 8 games for each sound. Finding the correct sounds in amongst a group of sounds. Selecting the correct word from several options, containing the phonics you are working on. Placing letters in the correct place in a given word. Deciding if words are real or not, if not feed them to Albiee the Alien! Be careful not to get too many answers wrong and lose all 3 alien lives though! If you get one wrong but the next is correct you regain a life though so don’t panic too much. There are four worlds (stages) containing lots of phonics sounds to unlock and work through. This game is such a fun way to encourage children to recognise sounds, giving them the ability to break down words and learn to read. This app can be bought in individual stages or as a multipack. Personally, I think the multipack offers the best deal but you may just want to try a stage at a time. Izzy loves Read With Phonics – Phonics Games, Albee the Alien has her giggling her head off with his funny noises! We’ve attempted phonics quite a bit at home but Izzy loves to pretend she doesn’t know. This app is so much fun she just couldn’t help but play the games properly and quickly sped through the levels! Izzy definitely loves this app and Albee the alien is a fun, encouraging character. Having played Read with phonics several times, Izzy is quickly picking up how to break words down into sounds. We’ve tried a few simple books too and she is able to sound out most 3/4 letter words and I’m absolutely certain by the time she completes the entire app she will be a phonics pro! I have nothing negative to say about this app at all or even a suggestion for improvement, which I think says a lot! This app is perfect, available on every platform makes it easy to use at home, school or on the go. I wish I had discovered this when we introduced Eva to phonics as it is a fantastic app. I can see Izzy’s confidence grow with every game play and that says it all really! 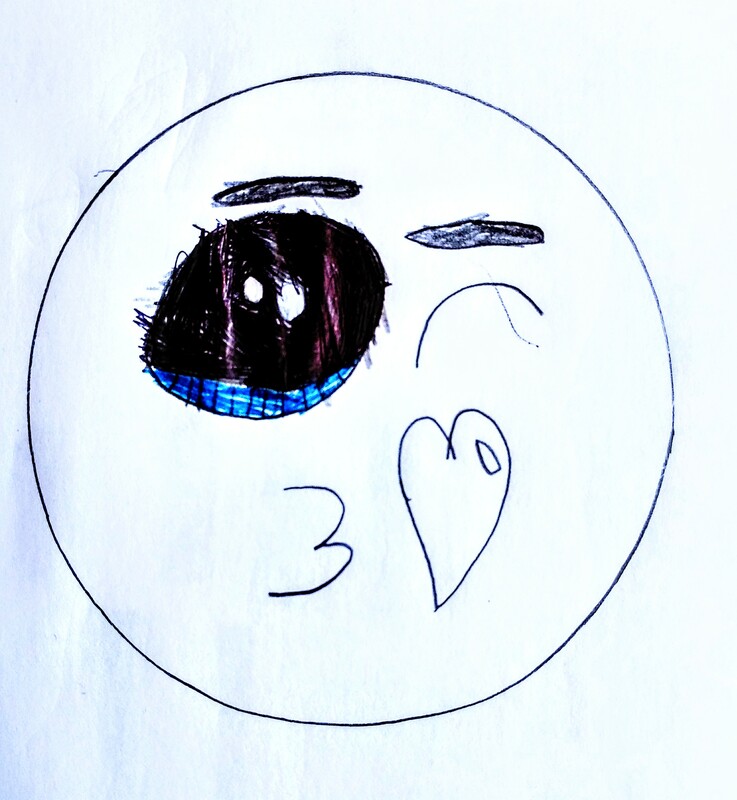 I’ve been learning how to draw Kawaii with the girls most evenings over the last few weeks. 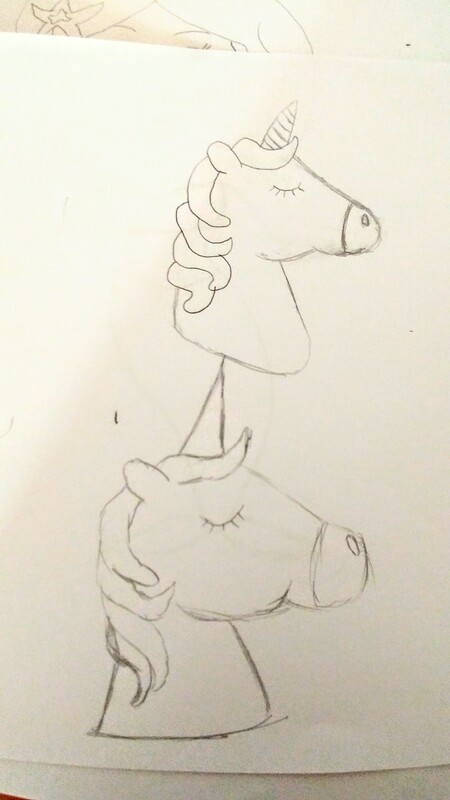 It started with Eva wanting to learn to draw a unicorn. I looked online but struggled to find anything Eva didn’t consider too complicated. Wanting to boost her confidence, I looked around on the Play Store too. 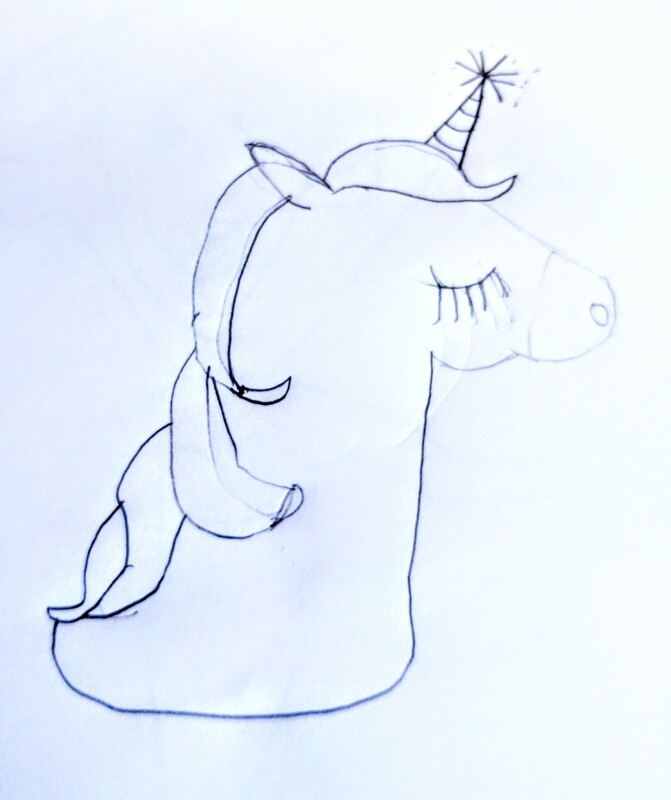 Having found a cool app – Kawaii Easy Drawing: How to draw step by step, Eva was happy to give drawing a unicorn a go. 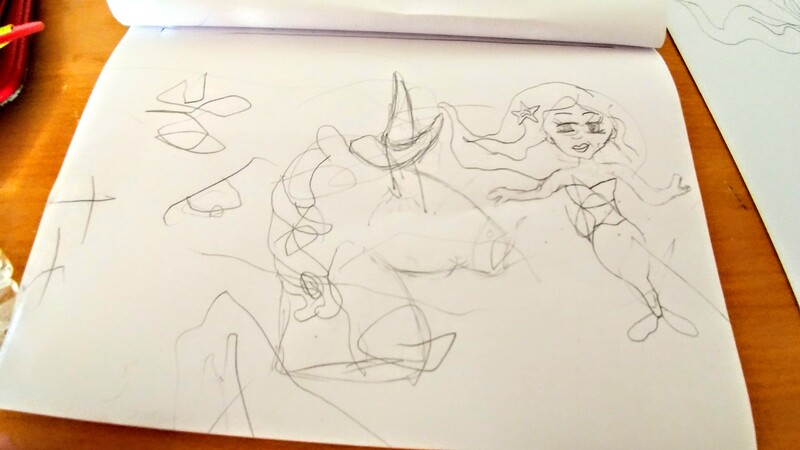 Eva kept getting stressed at first, so I offered to draw with her. Seeing that I make mistakes too and showing her accepting that it won’t always turn out perfect really boosted Eva’s confidence in drawing. Now she accepts small mistakes and does her own thing too. Since then, Izzy, of course, has to join in too although demands help for every step haha! Sometimes she will let me do an awful attempt and fill it in with scribbles whilst we wait for Eva to finish. A joint effort from Izzy & I! Drawing most evenings has become a new routine lately. It seems to calm the girls down before bed and we usually manage 3-5 drawings each time. The girls want to learn to draw everything on this app then look for a new one. 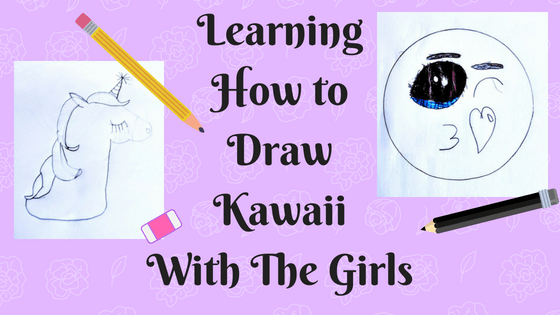 These simple, cute kawaii drawings are really keeping the girls entertained. 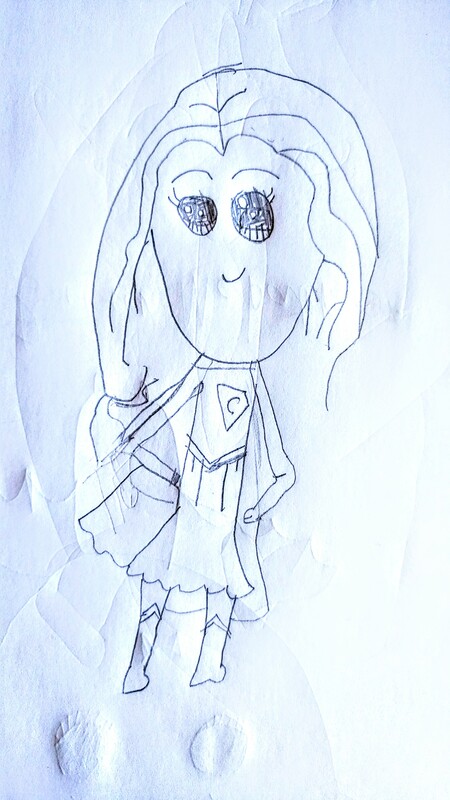 From Unicorns, Mermaids, Emojis and superheroes, we’ve spent quite a lot of time together at the table drawing. Eva’s confidence rising is nice to see as she is very much like me and beats herself up over small mistakes. Showing her that I make mistakes too but we can correct them or use them to our advantage is probably good for both of us. Seeing Eva proudly present her finished drawing at the end of each one makes my day! I’ll be hunting for my websites & apps like this with simple instructions to help the girls (and me!) continue learning to draw. I love that it gives us something to sit and do together and it’s lovely chatting away as we do. Eva is now laughing at big mistakes instead of getting upset and happy to start again. 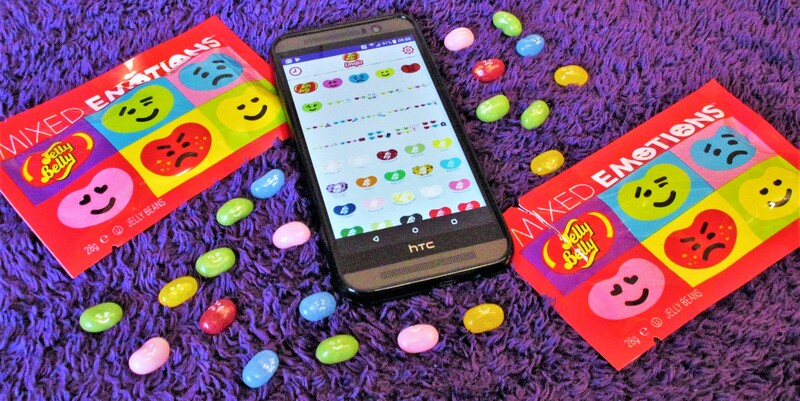 The BeanBoozled App from Jelly Belly launched this month alongside the Emoji App. 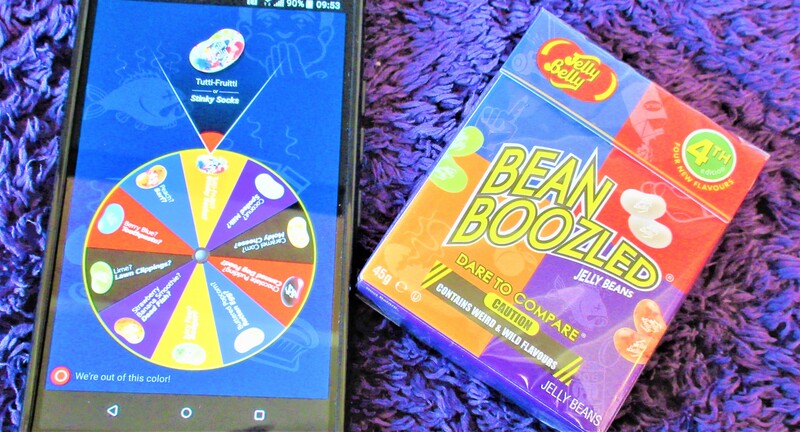 This free mobile app lets you take the BeanBoozled challenge anytime and anywhere. The BeanBoozled app is available to download for free from the App Store and Google Play Store. BeanBoozled consists of 10 pairs of identical Jelly Belly jelly beans with very different flavours! One possibility is absolutely delicious whilst the other is frightening! The Beanboozled app uses a virtual spinner which is a replica of the one from the BeanBoozled Spinner Gift Box. The app selects the colour jelly bean the player must try. Using real-time video capability the app allows friends to see your reaction as you spin the virtual spinner and try different Jelly Belly jelly beans. You can connect to your contacts through the app to play with your friends, all players can see the virtual spinner as if you were in the same room! The Apps share mode lets you save photos and GIFs from your feed and share it directly to your social media channels. This also gives you the option to add BeanBoozled-themed frames to each photo. The free app also features a flavour menu to identify flavour possibilities from the current 4th Edition mix. It also features a store locator with a postcode search. The apps final feature is a shop online. This game really is for the brave with those flavours on the list! Eva, of course, couldn’t wait to try them out and use the app so we had to try it out. We decided to take it with us to Will & Alfie’s party. Unfortunately, on her first go, Eva got rotten egg flavour and didn’t want to try again but watched the other’s try them out. All Jelly Belly jelly beans are certified OU kosher, vegetarian, and free from gelatine, gluten, fat and dairy meaning most people can join in. Make sure to have a plate/bin nearby when you play BeanBoozled though, there were a LOT of jelly beans spat out haha! Are you brave enough to play the BeanBoozled App? The Emoji App has just been launched by Jelly Belly and is available for free download from the App Store & Google Play Store. The new Jelly Belly Emoji app lets you communicate with your food, expressing yourself through Jelly Belly Stickers. Emojis are everywhere on social media and I know this fun app will prove popular, especially with Jelly Belly fans. I have to admit I like the idea of this fun new app. The girls and I love trying out new apps as they launch especially when they have fun themes like this. Jelly Belly is well known for their delicious jelly beans of every flavour and now you can send them as stickers too! The new Jelly Belly Emoji app lets you share Jelly Belly stickers through text messages and social media. The Emoji app is completely ad-free with no annoying adds stopping your fun. Using a slider you can change the size of each sticker you send. 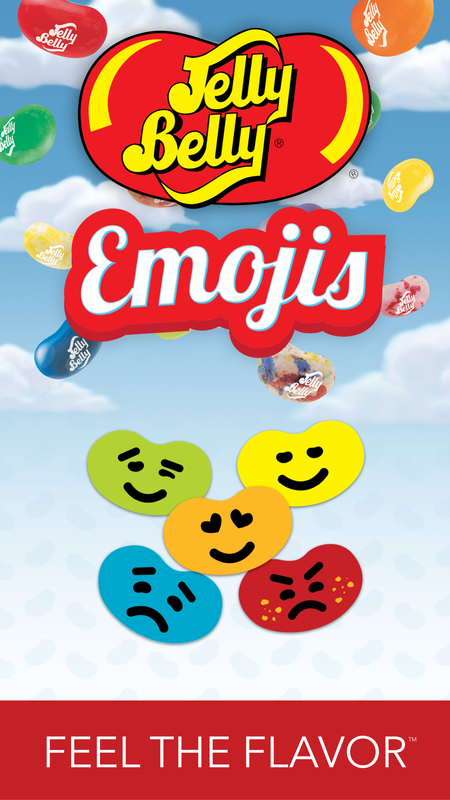 The Jelly Belly Emoji App is inspired by the Mixed Emotions™ Collection which consists of five flavours of Jelly Belly® jelly beans paired with an emotion. With this fun app, you can use the 5 emotions to create Mixed Emotions recipes using a combination of emotions associated with universal experiences. Using these combinations you can choose from 45 branded Jelly Belly stickers including Mixed Emotions faces and favourite flavours of Jelly Belly jelly beans. The 5 emotions are Happy, Angry, Playful, Sad and Love. Combining these emotions can create a several Mixed Emotions recipes such as 1 Happy + 1 Playful = Summer Holiday. The Mixed Emotions collection launches with a variety of packages, including snackable and shareable bags. These are available at https://www.jellybelly.co.uk/stockists. Jelly Belly jelly beans are certified OU kosher, vegetarian, and free from gelatin, gluten, fat and dairy. I’ve been looking at mental health apps that can help me cope better on bad days. Mental Snapp is an app designed to help you manage your mental health using private video diaries. I know 2 people who find recording videos of themselves really helpful and love the sound of Mental health apps such as Mental Snapp. Mental health apps are a great way to manage and monitor your mental health. 1 in 4 of us will have a mental health episode at some point and it can be so confusing. Using mental health apps like Mental Snapp to actively manage our mental health can make it much easier. If like me you hate appointments and struggle to ask for help, apps like these can help us get things off our chest when we really need to. 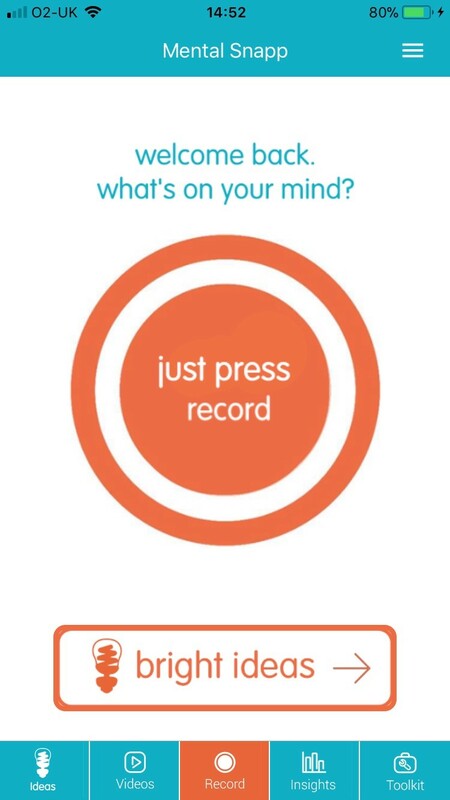 This video recording mental health app, Mental Snapp is available free to download from the App Store and Google Play. This helpful mental health app has been designed to be a space for you to tell your story and gain confidence. You can record short video diaries, rate your mood and name your feelings when using Mental Snapp. Your videos aren’t watched by anyone else so you don’t need to worry about being judged. It’s your version of events, and telling them helps you reflect and get to know yourself better. A free app is always a good start and Mental Snapp is available for free. If however you need extra space to save your videos and want to access extra features, you can. The app costs £4.49 per month. The Mental Snapp app has been featured in the London Evening Standard. The idea is welcomed by the DWP too. Mental Snapp can help you find things out about yourself and learn your moods easily. You simply record your video clip, rate your mood, tag a feeling and that is it! Nice and simple yet very effective. The app organises your video diary clips so they are easily searchable. This fantastic app also provides you with prompts and allows you to see patterns over time using the insights page. The team at Mental Snapp believe you already have the skills you need to manage your mental health. Using the app and recording regular video clips can help you draw out those skills. It can feel a little odd recording yourself at first. Stick with it though and I promise you will see the benefits. Do you think you could benefit from using Mental Snapp? I’ve been playing the Spider Crush Forage game, a spooky new free-to-download game launched on Google Play in time for Halloween. The Spider Crush Forage game is a thrilling new take on classic matching games. I’ve been playing this game for a week now and it is great! I enjoy reviewing apps of all kinds but it’s rare I’m asked to try out a game so I had fun with this review! I am terrified of spiders and normally run at the first sight of one & am known to scream. The Spider Crush Forage game is a great way of facing your fears though. If the thought of a furry tarantula terrifies you too it may help you face your fear without having to get too close to a real one! At first I really struggled with huge furry tarantulas crawling all over the screen. Eventually I learnt to ignore them and managed to get through a few levels. Spider Crush Forage is a challenging game which I am enjoying playing. Far too many game are so easy to beat. I usually get bored very quickly with games as they are so easy so I quite like the challenge of Spider Crush Forage. You have a certain amount of moves per level. It took me a good few attempts to beat even the first level thanks to those pesky Spiders! Spider Crush Forage is a fantastic spooky escape from the ordinary. It’s perfect for keeping you busy on the train, in a queue or resting with a cuppa! Spider Crush really is a fun game and the girls enjoy playing too. Oddly I felt calm after a few attempts, I wonder if I’ll be calmer next time I face a real spider? Do you love games like Spider Crush Forage? I’m tackling my mental health with Thrive: Feel Stress Free, an app created to help gradually build resilience to and manage stress. Something I am struggling with immensely lately. Thrive is also designed to help with anxiety and mild depression which I also struggle with. I recently had a medication review which didn’t go too well. I saw Dr who clearly didn’t read my notes and his comments left me feeling rubbish. Because of this my mental health has spiralled out of control and I’ve struggled to cope lately. A Dr trying to change my medication without reading my notes ( I figured this as he asked as I was leaving if I’ve been to the pain clinic yet instead of ‘just taking medication’!) has left me feeling even more messed up than before! I avoided medication for a good 5 years when I obviously needed it, I’ve tried everything I can & given in and accepted medication just to get that kind of reaction. That’s probably a whole other post though! I have decided I will try my best to take my mental health into my own hands and hopefully Thrive can help with that. I will be trying out the app and sharing how I get on with it in a few weeks time. Thrive teaches clinically proven techniques such as mindfulness and CBT. I will be trying the app out over the next month to try and manage my stress and anxiety as I am really struggling again lately. A confidential wellbeing app, Thrive helps build resilience, prevent and manage stress, anxiety and other common mental health conditions. Thrive is designed to help de-stress I just 5 minutes. I hope this is the case for me! The Thrive app is available on all Android and Apple devices. 3 different subscription packages are available. Quarterly – £14.97 for 3months of unlimited access. That’s just £4.99 a month! Yearly – £47.88 a year brings the cost down to £3.99 a month. There are several parts to the Thrive app. Each section focuses on one area but the app considers all area’s when processing results & giving advice. Thrive learns more about you as you use it which allows the app to give better suited advice. The Thrive app begins by asking questions and tracking them on the Mood Meter. Every day you answer the questions which allows the app to assess your current issues. With this information the app can provide useful results to help you work on those issues. Over time the app learns more about you allowing it to advise you better each time. Thrive uses four relaxation techniques – calm breathing, meditation, deep muscle relaxation and progressive relaxation. You may find certain techniques may work better for you than others. Try them all to see which works best for you. There’s a range of sessions varying in duration & situation. You can select what works best for you. There’s a selection of wellbeing guides available on Thrive. The guides help understand and support you through situations like trouble sleeping, money worries, loss of a loved one, weight worries and more. This is my favourite part of the app already. The Zen garden allows you to get creative and design your own peaceful garden. Creating a peaceful Zen garden helps keep your mind off stress. I’ve already found raking and making patterns quite peaceful. Message in a bottle lets you share a completely confidential and anonymous message in a bottle with words of encouragement. Everyone needs a few words of encouragement at times! Across all of these different area’s the app learns about you and can tell you where you need help. As you can see below my anxiety is the main issue which I’m hoping Thrive can help me with. Don’t forget to check back in a week or 2 to see how I get on! Have you used Thrive? Did you find it useful? Do you think it may be useful if you haven’t tried Thrive? To try improving my mental health & sleep I received the S+ by Resumed to test out and review. Anyone with any kind of mental health issues knows just how important getting enough sleep is. Add in Chronic pain & most days are a disaster so I was interested to see how the S+ could help me. The S+ is a sleep tracking device which is COMPLETELY wireless! No wristbands or pad’s to place anywhere. A plus for me as I don’t like wearing wristbands whilst I sleep or having any strange lumps in the bed. The S+ Pod sits in the S+ frame which allows you to adjust the positioning of the pod. The pod needs to be within arms length of where you sleep, I have a small bedside unit next to my bed so I placed the S+ on there and adjusted the position so that it pointed towards my chest. This allows the S+ to monitor your heartbeat. I downloaded the S+ By Resmed App & synched my phone to the device via Bluetooth. I looked through the S+ Guide to get an idea of how the app & monitor work. The S+ requires you to let it know when you are going to sleep using the app. This then takes you through Pre-Sleep where it asks you questions about your day. Questions include things how many caffeine drinks you’ve had, how much exercise you’ve done, how stressful your day was and a few other’s too. This helps the monitor to work out where improvements can be made to improve your sleep score. The S+ records how long it takes you to fall asleep each night along with monitoring your sleep across the night. There is also an option to set an alarm to wake you up at an optimal time based on your sleep. Each night you are given a sleep score from 0-100. I started off quite low with a score of 65 on my first night with only 64% REM sleep & 70% Deep Sleep with 9 disturbances across the night. Using the data from the first 3 nights helps the S+ work out what could help improve your sleep score. This also takes into account the room temperature & lux. My first night the temperature was 25c & lux 0 (light). These are considered good ranges for sleep so I didn’t need to change anything there. Seeing all this information the S+ tracks made me realise just how hard I’ve been pushing myself. Even following the tips my sleep only improves by a tiny bit because I’m still waking in pain. It can be tough being a spoonie and always feeling exhausted, it sometimes makes you feel like maybe you are just lazy. Seeing on the chart how frequently I wake and just how much time I spend awake across the night made me realise it was no wonder I still woke up exhausted! My first score has been my highest so far this week! Not being so hard on myself after seeing how little sleep I’ve managed each morning has helped my mood. Now I don’t feel quite as guilty saying I’ve had enough & I’m too tired for the day, especially when I see I’ve had a rough night. It’s one thing knowing you are exhausted it’s another being able to see exactly why. Seeing how many times I wake across the night I realised I wake more than I thought too. I have actually been a little less anxious since remembering to set the S+ each night. I’ve felt less guilty about dosing up where I can see the pain is waking me regularly & it’s not just in my head. Following tips along the way has been helpful too & keeping track of my caffeine intake as I thought I actually drank more than I do across the day! I’ve also felt a little less depressed each day as I don’t feel like I am just lazy constantly. I can see I’m not sleeping well & as shown in the graph above shows timings too. I know I’m going to bed at a decent time & I know I’m at least trying to get more sleep & rest enough each day but I’m still waking which is obviously why I still exhausted every day. I would definitely recommend the S+ as it shows the information you want to know & provides some really helpful tips too. I’m determined to keep using the monitor and try to improve where I can! I wish I had remembered to try it out much sooner, I may do another post soon to share with you all how continued use has helped! Would you use the S+ or have you got one already?